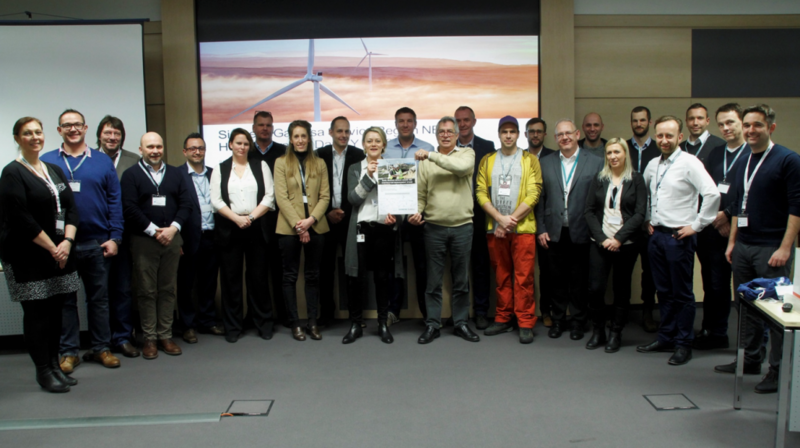 GEV Wind Power was asked, as a trusted commercial partner, to assist in the development and enhancement of the joint Siemens Gamesa Renewable Energy group Contractor Day at the Hamburg Head Office on 24 January 2018. A full day of workshopping to develop the conjoined QHSE culture for partners involved industry experts throughout the supply chain and across Europe. Best practice was brought together from the turbine OEMs through vessel providers, PPE providers, power electronics specialists and of course ourselves, the only UK blade and fabric maintenance service providers in attendance. By bringing together these otherwise disparate organisations, it is hoped that a common understanding and buy-in from all parties will continue to provide a safety first culture throughout the industry. We at GEV group are very proud of our near 1million man-hours without 7-day Lost Time Incident which we have worked hard to build and maintain over the years. We were delighted to be asked to attend the SGRE Contractor Day in Hamburg and look forward to the follow-on actions of continuous development and improvement of a common safety culture.